Originally crafted as a home brew recipe in a small shed in Bentleigh, our new Beer Hall seasonal was developed by Ed, one of the brewers here at 2Bros. Inspiration for the brew stemmed from one of his favourite brews, Ballast Points ‘Grapefruit Sculpin’ and the coincidental glut of grapefruit he ran into, thanks to a seemingly over excited Grapefruit tree. Since the home brew recipe came to light, it has always been on the radar here at 2Brothers, especially with the recent introduction of our single batch ‘Beer Hall Series’. So with Ed’s blessing we are now sharing it with the general public! 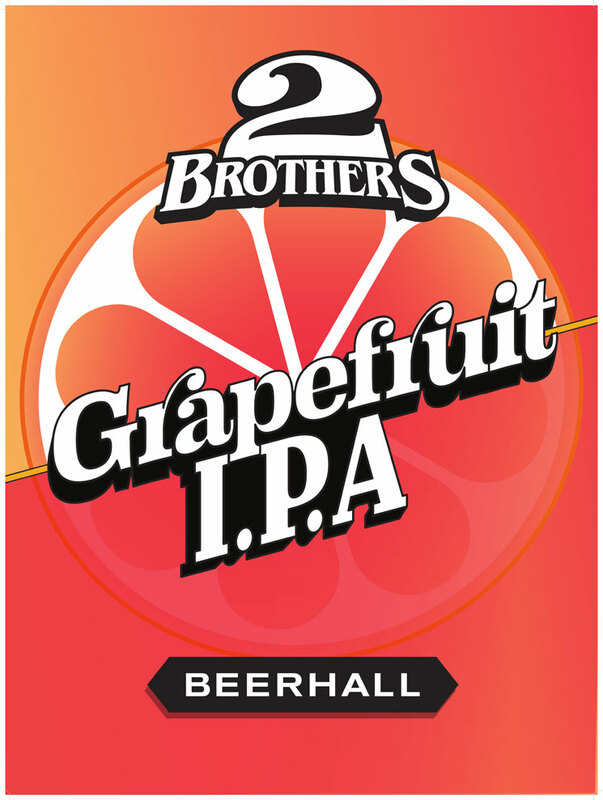 Utilising organic grapefruit zest throughout the brewing process and a combination of fresh American hops that work to mimic and compliment the grapefruit flavour, we feel we’ve come out with a great tasting fresh IPA that stays true to its name! Full list of venues where you can find this beer will be announced in the coming week! Keep your eyes peeled on Facebook & the Website for more info.